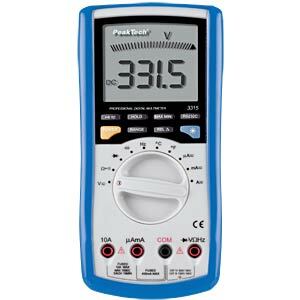 This digital multimeter features both automatic and manual ranging. 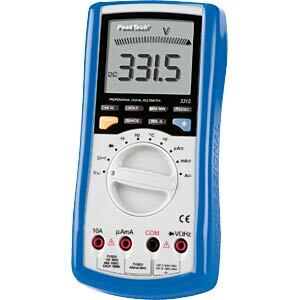 The dual display has a maximum reading of 3999 in a 40-segment analogue bar graph and can be used to read measurements easily and display changes quickly. 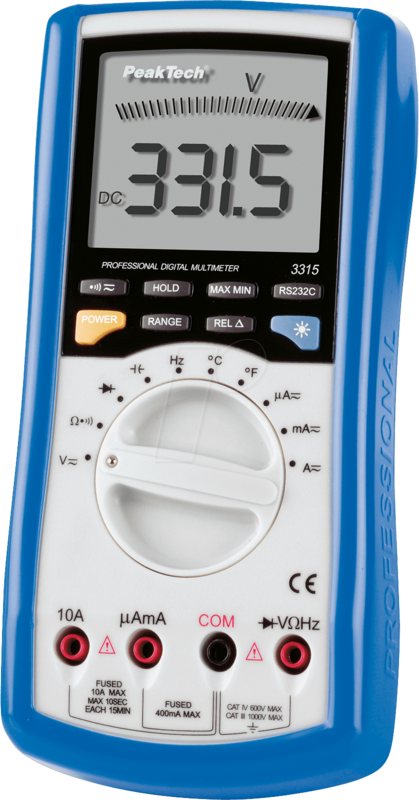 The digital multimeter provides innovative features for conventional measuring functions and for frequency measurements with a maximum range of up to 400 MHz. It is equipped with a serial, optical interface for connection to computer for macro recordings and for monitoring and recording dynamic, transitional data. Waveform modification is displayed in real-time. 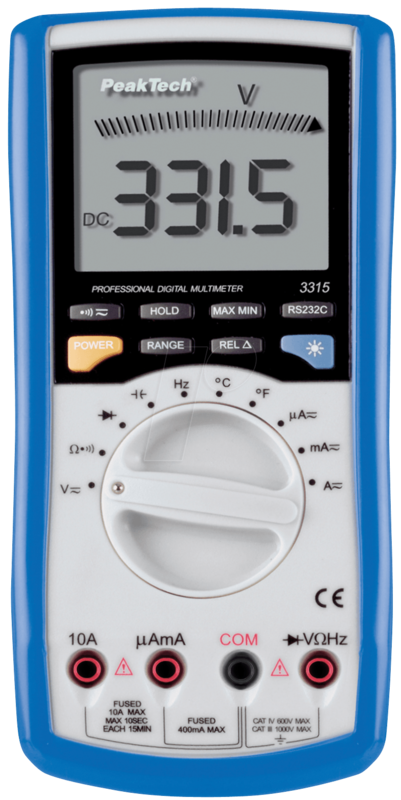 The digital multimeter features complete input protection and display illumination. Easy, simple and direct selection of the basic functions using push buttons and auto-ranging for: DCV, ACV, DCA, ACA, Ohm, diodes, continuity, capacity, frequency and temperature measurement functions. - Supplied accessories: test leads, test clips, battery, K-type thermocouple probe, RS-232 C interface cable, USB interface cable, software for Windows and user manual. • U AC: 1 mV/10 MOhm.